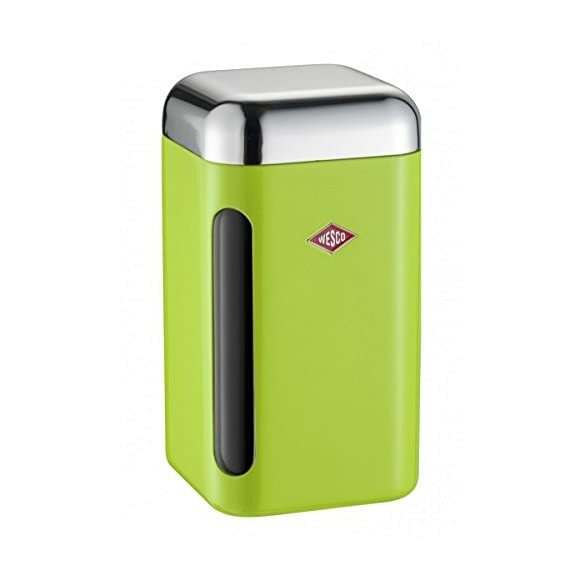 This Wesco storage box in lime green is perfect for anyone in search of something a little different when it comes to storing kitchen goods such as sugar or tea bags. 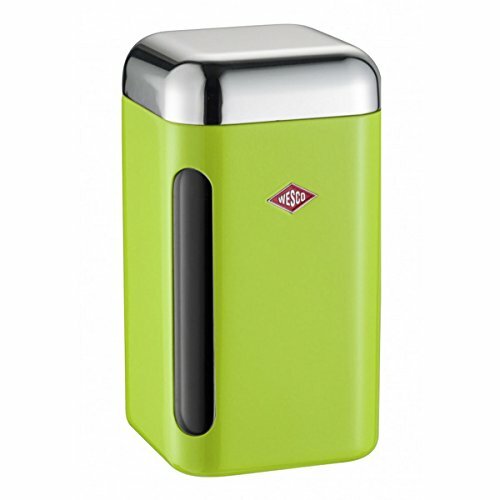 The lovely lime green storage canister features a stylish and airtight chrome lid that allows for easy access when refilling. The canister is able to hold a volume of around 2 litres, the equivalent to 500 g of ground coffee or 2.20 lbs (1 Kg) of sugar or flour. You can easily identify what is contained in the storage canister thanks to the acrylic viewing window. Unlike many of the more traditional looking storage canisters the Wesco canister is more rectangular in appearance. The rounded rectangular shape of the canister means it can be easily coordinated with other items from the Wesco range effortlessly, for a beautifully coherent kitchen design. If you are looking for a range of lime green kitchen accessories that are a lot more stylish than most of the cheaper brands, the Wesco brand is a great place to start. Experts in high quality and stylish design it is clear to see why many products from the range often receive very positive reviews from buyers. This particular storage canister from Wesco measures 11 cm by 11 cm at the base and has a height of 19.5 cm. On visiting the retailer you will also see that there is a smaller lime green storage container available in the same design. The different sizes of storage canisters can also be combined to give a very cute look to your kitchen worktop.